Since 1998, Gardner Precision Technologies has changed our clients’ lives through developing relationships and providing outstanding services. We service clients in home and business environments. Regardless of how complicated your computer needs, we guarantee the fastest, most cost effective solutions within your budget. Don’t WORRY about PRICE… We will NEVER LOSE any CLIENT over a realistic PRICE. Why use Gardner Precision Technologies (GPT) for computer repair services? When it comes to your home or business, computer consulting must be handled by experienced and knowledgeable professionals. We are a USA-based corporation, disabled veteran owned and operated; we also never use sub-contractors for any projects. You always speak with the owner and he performs the work until completion. Why use Gardner Precision Technologies (GPT) for Computer Repair Services? When it comes to your business, computer consulting must be handled by experienced and certified professionals. This is why Gardner Precision Technologies offers expert computer repair services by highly trained engineers. 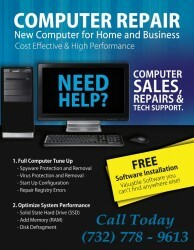 We will assess your computer hardware, software and other vital components. 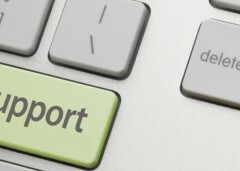 After a full assessment we will notify you if your home or business needs network, hardware, software or other upgrades. This is what we do every day for thousands of clients. Why use Gardner Precision Technologies (GPT) for Computer Repair Services Technicians? 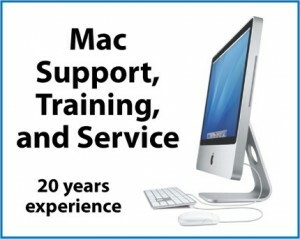 Professional | “PC and MAC” Services for Desktops, Laptops and Servers. On-site Consultation: desktop, laptop, servers, network and other devices. Malware Removal and Scans: Don’t let the next malware take down your network. Data Backup: Are you truly protected against data loss? 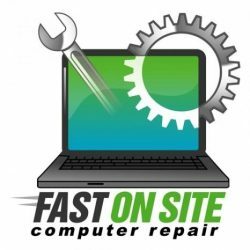 It may not always be possible, and often times a hard disk drive failure just happens unexpectedly, however the following symptoms are common indications that your hard drive has failed and is beyond repair. If experiencing any of the following symptoms make sure to seek out professional Data Recovery Services for help as soon as possible to avoid permanent data loss. Why use Gardner Precision Technologies (GPT) for Computer Repair Services? When you hear unusual grinding or thrashing noses, unfortunately it is most likely an indication that your hard disk drive is beyond repair. Such failures are often preceded by loud, unusual clicking noises. It is important that you get to know the normal sounds of a working hard drive so that you can recognize the unusual noises when it occurs and act quickly to determine exactly what the problem is. It is best to turn off any clicking drives and contacting our data recovery experts for advice. Why use Gardner Precision Technologies (GPT) for Computer Repair Services? When you find that you are unable to save a document, or are unable to locate a file that was on your desk top, or several of your programs stop working (apparently because a program file is missing) you may have a degraded or failing hard drive. It may be that your files were moved by someone else or that you have a virus, but disappearing data is most often a sign that you are going to need to replace your hard drive before too long. When a drive is not recognized by your computer, this generally indicates a problem with your drive, not your computer. However, the best first step is to test your hard drive with another computer. If this test fails and your drive still isn’t recognized, there is an issue with the drive. Most likely it is a mechanical failure requiring professional hard drive recovery to extract the data from the disk. If your computer is regularly experiencing a blue-screen or is randomly rebooting, crashing, or otherwise failing to reboot, you may have an issue with your drive. If the crashing happens especially at times when the computers is accessing large files (such as during the boot sequence), it may indicate a problem with your drive. Why use Gardner Precision Technologies (GPT) for Computer Repair Services? When it is taking your computer a long time to perform simple tasks, like opening a folder in Windows Explorer or emptying trash, your computer’s drive is likely failing. These symptoms are almost always followed by drive failure (usually within a month or two). If your computer hard drive has been accessing files slowly, though, for several months, you may want to consider uninstalling your operating system and reinstalling it. Why use Gardner Precision Technologies (GPT) for Computer Repair Services? If you experience any of the symptoms noted here and suspect a hard drive failure, it’s best to shut down the drive immediately and contact the Gardner Precision Technologies professional hard drive recovery experts as soon as possible. (24/7) Live Call +1 (732) 229 – 4141.